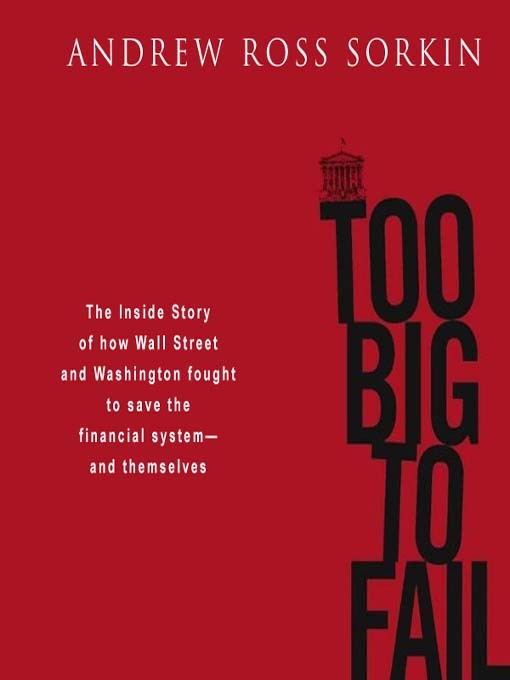 Too Big to Fail is a brilliantly reported true-life thriller that goes behind the scenes of the financial crisis on Wall Street and in Washington. In one of the most gripping financial narratives in decades, Andrew Ross Sorkin, a New York Times columnist and one of the country's most respected financial reporters, delivers the first definitive blow-by-blow account of the epochal economic crisis that brought the world to the brink. Sorkin delivers the first true behind-the-scenes account of how the greatest financial crisis since the Great Depression developed into a global tsunami. Through unprecedented access to the players involved, he re-creates all the drama and turmoil of these turbulent days, revealing never-before-disclosed detail, from inside the corner office at Lehman Brothers to secret meetings in South Korea and Russia and the corridors of Washington. This is the definitive story of how the most powerful men and women in finance and politics, motivated as often by ego and greed as by fear and self-preservation, ultimately decided the fate of the world's economy.